Imagine the Arctic air on a clear, crisp night with the endless sky dotted in brilliant stars and alluring green glow of the aurora borealis. 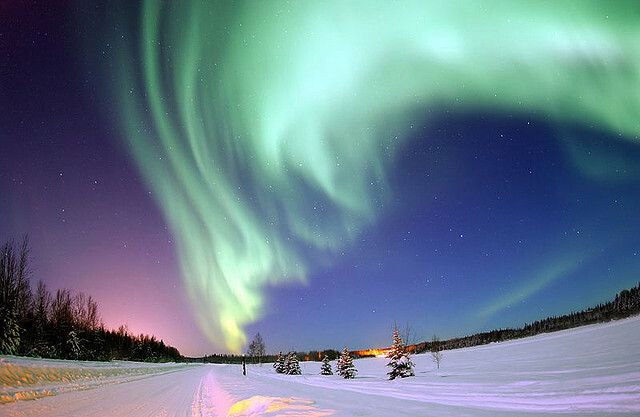 The northern lights and healing mineral spas of Iceland make this location a perfect winter holiday destination. 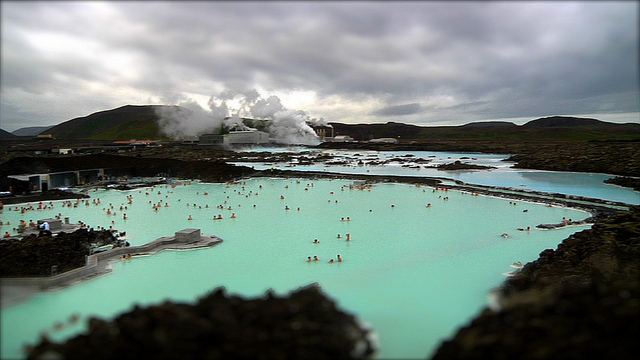 True relaxation warms the skin with the mineral rich waters of Blue Lagoon in Iceland. Before you ever leave home this holiday, be sure to book your airport parking spot in advance! I've learned the hard way that you can spend a while lot more than you anticipated if you wait until the last minute. Only in the old Viking land can you capture the sight of magnificent geysers, soak in rare geothermal baths and experience the gorgeous landscape of rushing rivers, misty falls and a lagoon of ancient icebergs. The emerald, moss-covered mountains of Iceland are the perfect place for a natural spa holiday. The steaming waters of Blue Lagoon are an exquisite spa experience with scenic views of the surrounding countryside located in the heart of Iceland. Travel to the misty waters of Blue Lagoon in Grindavik, one of the country’s most popular features located in an old lava field. Here you can relax in a warm bath, receive a luxurious massage and let the mineral rich waters heal common skin ailments such as psoriasis. The milky blue seawater is a testament to Iceland’s volcanic history. Enjoy delicious cocktails, an exclusive lounge, and the LAVA restaurant located on-site. The Blue Lagoon offers a wide range of services that are sure to energize the soul in an Icelandic oasis of peace and serenity. These tranquil waters of the lagoon make this a perfect destination for a romantic getaway. The pampering does not stop with a variety of in-water therapies, beauty treatments and private packages. You won't want to miss this unforgettable geothermal spa, such a rare indulgence for the skin. After one fine spa experience, it is easy to find yourself traveling the countryside to seek-out the spectacular landscape on The Golden Circle. Explore this popular round which features a list of various Viking hangouts from the medieval times and includes a one-of-a-kind view at plate tectonics. I suggest stopping at the very place where the European and North American plates split to form an enormous rift in the Earth's surface. The sheer force of plate tectonics that fuels volcanoes and erupting geysers are enough to humble the human mind! In the summer-time, the popular location of Gullfoss waterfall is often captured in photographs ribboned with a brilliant rainbow, though its' winter counterpart is equally delightful when the falls glimmer with snow and ice. In a town named Geysir, it would be fitting to expect to see a geyser. 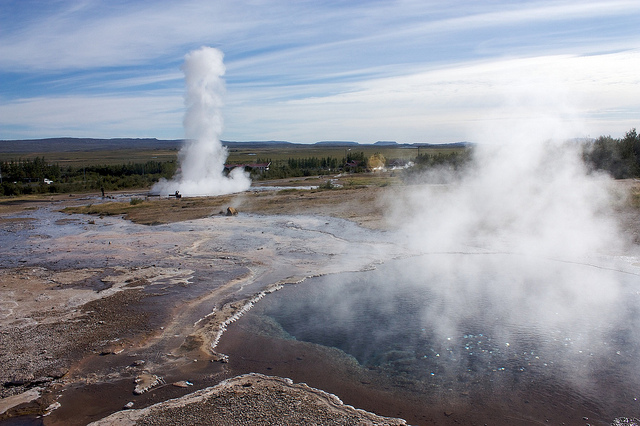 As it turns out, the etymology of the world geyser originates from this town, where you can find the Strokker, a massive geyser that spouts hot air 15 meters into the Icelandic air. When in Iceland, you won't want to miss a chance to see Glacier Lagoon. This particular location is a fantastic sight indeed, so take your time exploring the many waterfalls with a grand view of mossy mountains and frigid 1,500 year-old icebergs floating on the lagoon. Let the mineral spas of Iceland energize your soul this holiday!